HARDER! FASTER! This week we are unveiling the four cover stars of an issue dedicated to outsiders and risk-takers: artists that share an indomitable spirit that fought against convention and created timeless art in spite of the contentions they encountered. We began yesterday with the dark lord of chaos, Marilyn Manson, and now we’re bringing to the party rap's most infallible survivor: Gucci Mane. Throughout his 12-year career, nobody has matched the Atlanta mogul’s relentless work hard, play hard mentality. His approach has been sometimes pioneering, often reckless, but Gucci Mane has emerged a folk hero, a true original and one of the most influential artists in contemporary rap music. 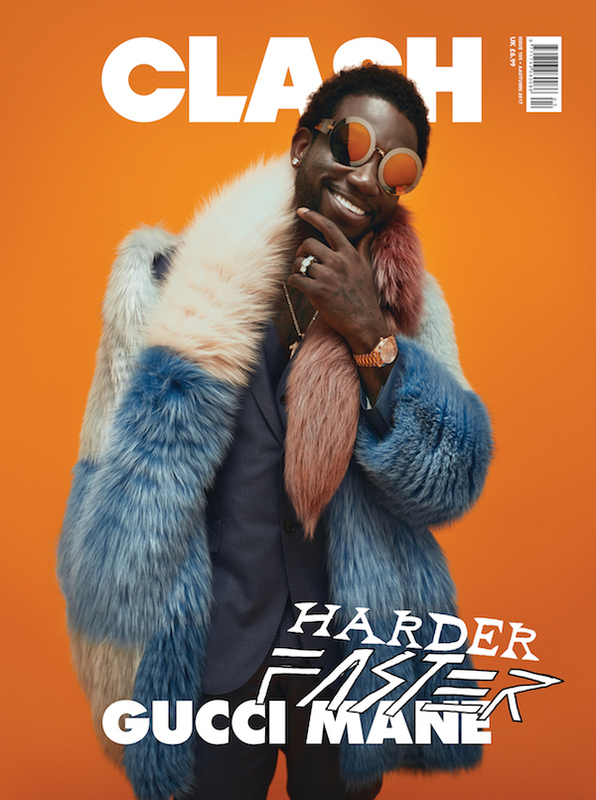 Since emerging last year from his longest prison sentence yet, Gucci has transformed both in body and mind, and is ready to go harder and faster than ever before. Also in this potent issue are features with Marilyn Manson, Lil Peep, Vanessa White, Moses Sumney, Denzel Curry, Jessie Reyez, Tom Grennan, Paul Anderson, Jimmy Cliff, Wyclef Jean, Ty Dolla $ign, Bootsy Collins, and much more.